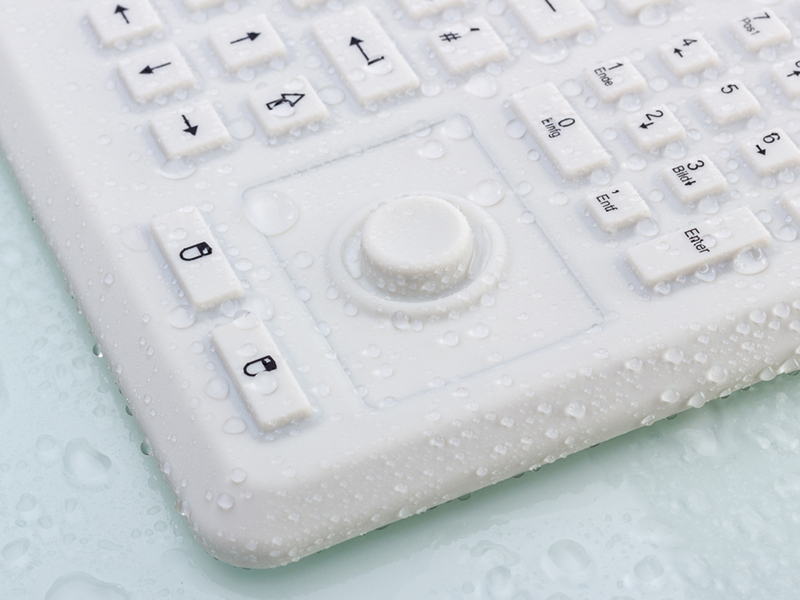 The InduProof Advanced has a full set of keys with a numeric keyboard, an integrated mouse button (mini-joystick) and is a convincing product thanks to its pleasant sense of touch and the very high degree of protection that it provides. As a result of its robust design, it is highly suitable for use in challenging, hygiene-sensitive areas like industrial food and drinks production. It is possible to completely clean and disinfect the unit. It has a long serviceable life as a result of its high-quality workmanship – after all it is “Made in Germany”. The use of high quality materials and high quality manufacturing increase the life of this keyboard. 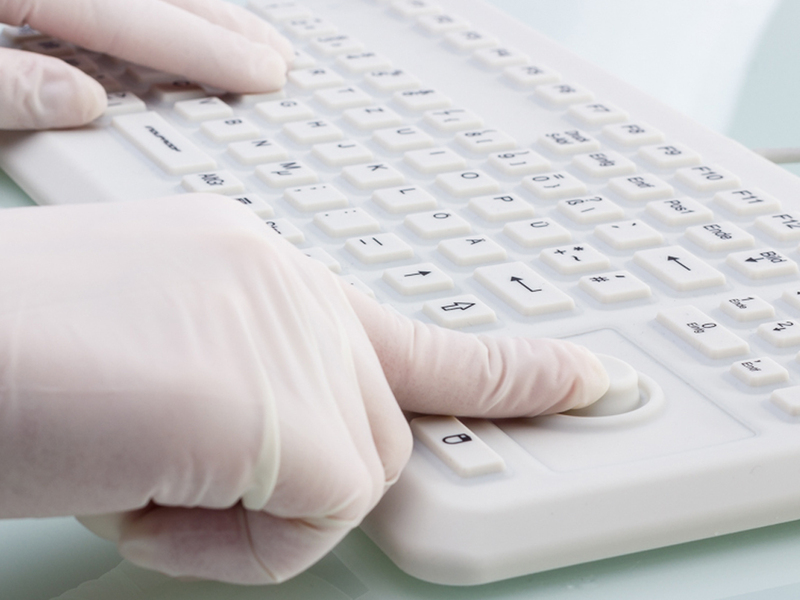 The design of the keyboard and the use of high-quality silicone allow a pleasant operation and a good sense of touch, even when using protective gloves. A special coating on the surface increases the chemical and mechanical resistance of the material. 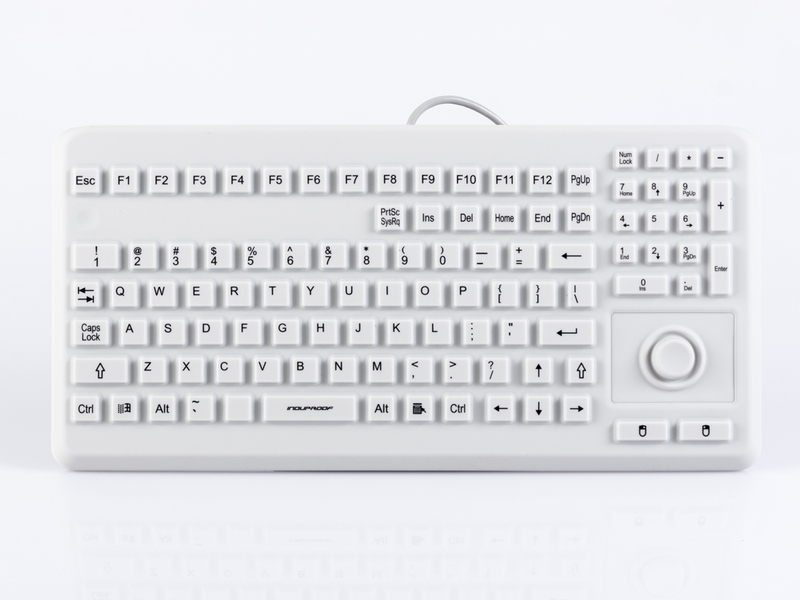 The keyboard is a certified medical device and is suitable for use in hygiene-critical areas such as hospitals, doctor's surgeries or laboratories. 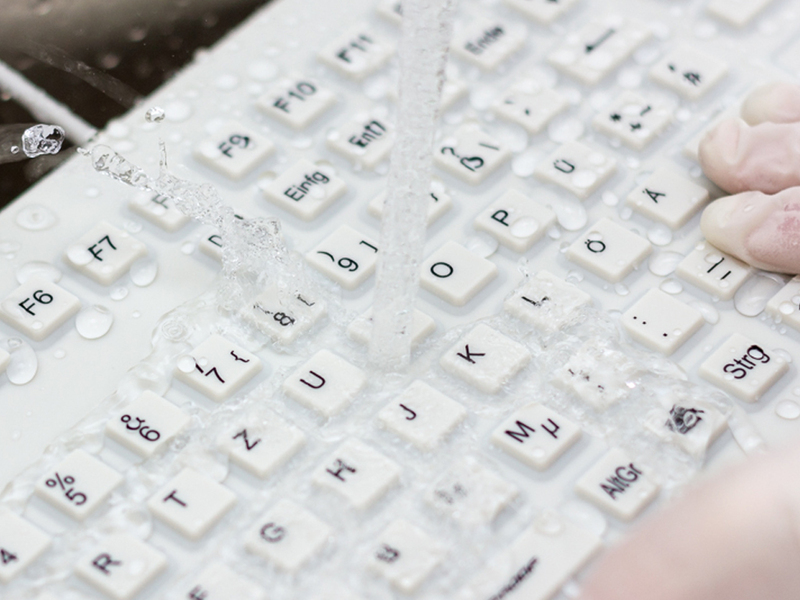 Waterproof and dustproof properties according to IP68 certification make it possible to clean this keyboard under tap water or by immersion in liquids. Cleaning with standard household detergents is possible. Please do not use any abrasive aids, such as cleaning sponges made of steel wool. For disinfection we recommend an alcohol-based agent for best possible results. As part of the InduProof® brand family, it is manufactured in line with the highest quality standards. Customisation is also possible, even if you only require a small number of items. We offer an additional guarantee of four years on this product. Robust and high-quality material: Long lifetime, also suitable for robust applications. Discover more products of the professional range here!